Well Billy, we finally found you now! Although Billy has his fans, to me he was always an ancillary character that I could have taken or left at will. I don’t know about you Fred, but for me Billy had no special place in my nostalgia, so I never had anything invested in him even when he was killed by the Blue Ninjas. With that said, he is exactly the kind of character to be used in the FSS---characters we’d never normally see through a main line. I just wish more characters from the comic or cartoon could have been done instead of troop builders or foreign exclusives. With the impending demise of the Fun Publications G.I. Joe Club, I think it’s safe to assume Mangler and Cool Breeze will never be made officially. Once again, I’m of an opposite mind when it comes to Billy. While G.I. Joe: A Real American Hero #32 was the first issue I ever read of the classic Marvel series back in the 80’s I was fortunate enough to buy the entire run of back issues off of a fellow orchestra member. 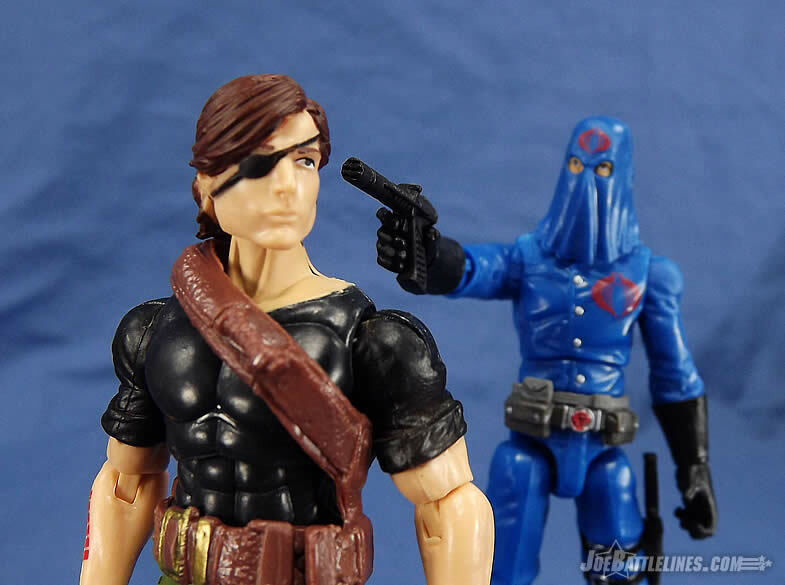 The early stories were fun but when Major Bludd and the Baroness started grooming a young Cobra Youth Corps member to assassinate the Commander I was hooked. 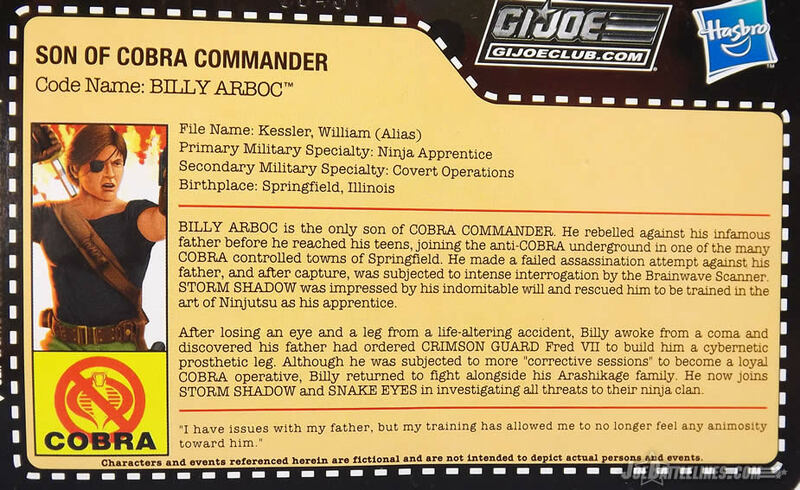 When it was revealed that this young would-be-killer was actually Cobra Commander’s son I became completely invested in the character and followed his appearances in the series with great anticipation. The 80’s comic certainly was a different animal back then. Things felt darker, yet more alive. There was a tangible presence of characterization and plot that unfortunately aren’t found in the low brow, phoned-in issues nowadays. Of course, for years Billy was part of a “holy trinity” of comic characters that I never thought would ever see plastic form. (The other two being Kwinn and Dr. Venom.) 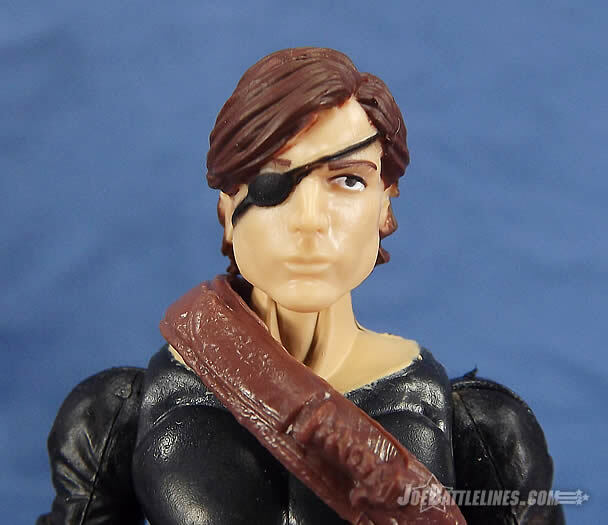 It’s certainly ironic that with the exception of Baroness, the only time Hama’s original characters see life in plastic form is after they are killed off in the comics. Now, thanks to the Club, the trinity is complete. However, enough pontification—let’s get on with the review!!! Billy is only one of two figures to have a newly tooled head this go around, and it is a welcome addition to bring this character to life. I’ve been hearing conflicting information as to whether or not Boss Fight sculpted the head, but regardless it’s a good likeness. 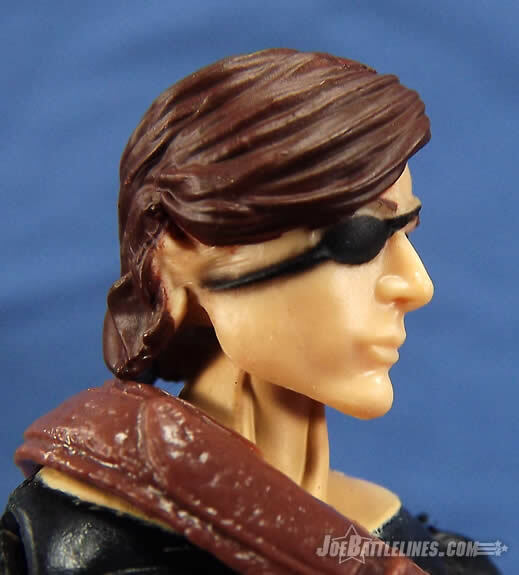 If I had to cite some token gripes, the eye patch seems a bit small, and his jaw line next to his neck is slightly too square-shaped. But this is nothing to worry about, as overall it’s a great sculpt. 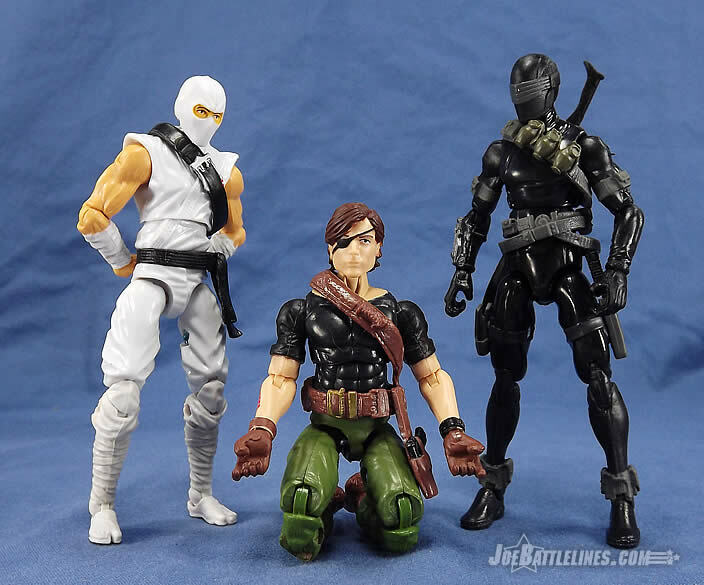 Retaliation Flint arms on a PoC Ninja Battles Snake Eyes torso and legs rounds out his build. The torso choice; while a bit short compared to the legs, was still decent. It has a lithe build that harkens back to a younger body frame, and the sculpted musculature while very prominent; is still conducive to a lean build. It works well enough with the aesthetic of the figure. As for deco, half of Billy’s is simply painted on. While I don’t necessarily have a problem with that per se, it’s the specific style of his top that’s an odd choice. 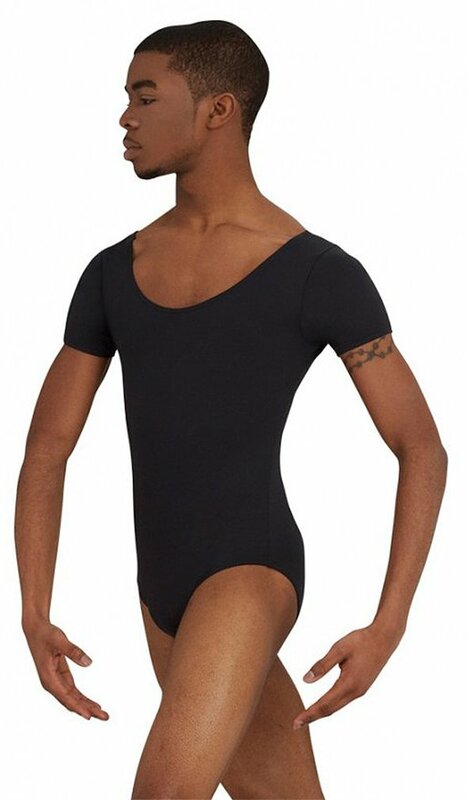 He is unequivocally wearing a men’s short sleeve, scoop neck ballet leotard under his pants. The scoop neck is a dead giveaway. 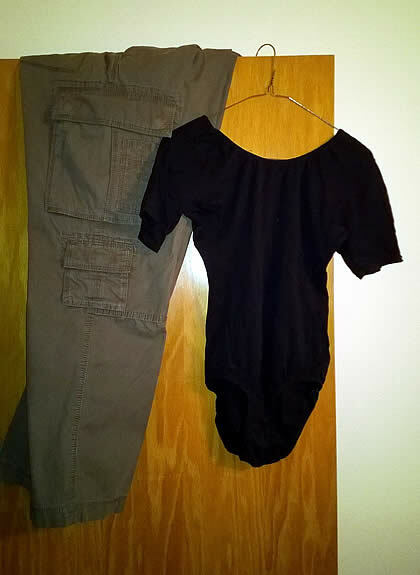 (I know, because I danced for seven years and I wore the same thing for class.) It’s not even an Under Armour-type stretch shirt, as they don’t make anything in that style. To make it less balletic, the Club should have painted the fabric of the torso higher so it was set under his neck. That way it would have looked like Under Armour instead of Capezio. Oh well, on the bright side I have an easy-to-do Billy costume I can use for JoeCon if I go! Combined with undetailed brown boots and drab (no pun intended) green pants, he looks very simplistic to the eye. Perhaps too simplistic for the price. Even a two-tone camo pattern would have broken up the monotony a bit to make it feel less “Dollar General”. At least his I-Ching hexagram tattoo breaks up some of the monotony, and there is some detailing on his sword and webgear. 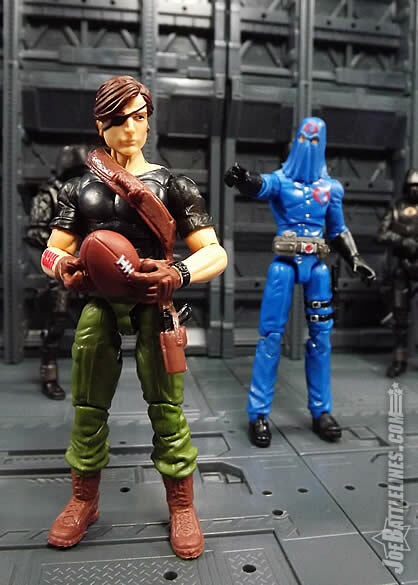 Personally, I like this look for the Son of Cobra Commander. I was a fan of the Devil’s Due Publishing G.I. 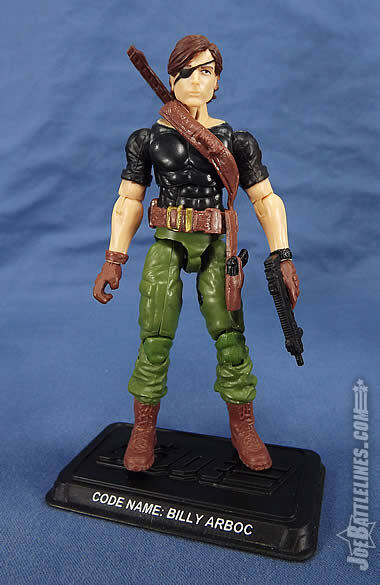 Joe: A Real American Hero, Vol 2 and this figure is DIRECTLY inspired by Billy’s appearance in that series. (More specifically, this seems to recall his exact appearance from issues #20 and #21.) Chris, while you pointed out that his color scheme is very simplistic I see it more as minimalistic. It’s just what I’d expect from someone who has endured everything that Billy has and yet has found some semblance of peace by walking a more esthetic path in life. Billy’s “uniform” is not more elaborate than it needs to be. Oh, make no mistake. I’m fine with the minimalism in theory, but where is the money going then? 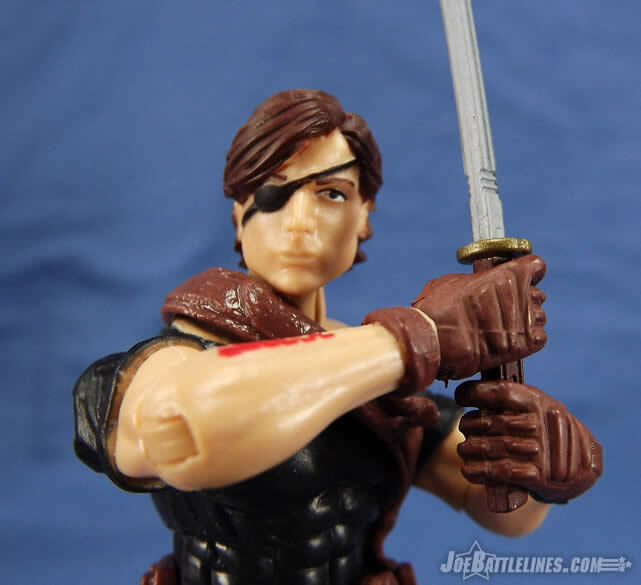 If Billy is bare-boned, what extras were added on to other figures? Again—he’s wearing a t-shirt and a pair of cargo pants. He’s the embodiment of pure functionality and I like it. 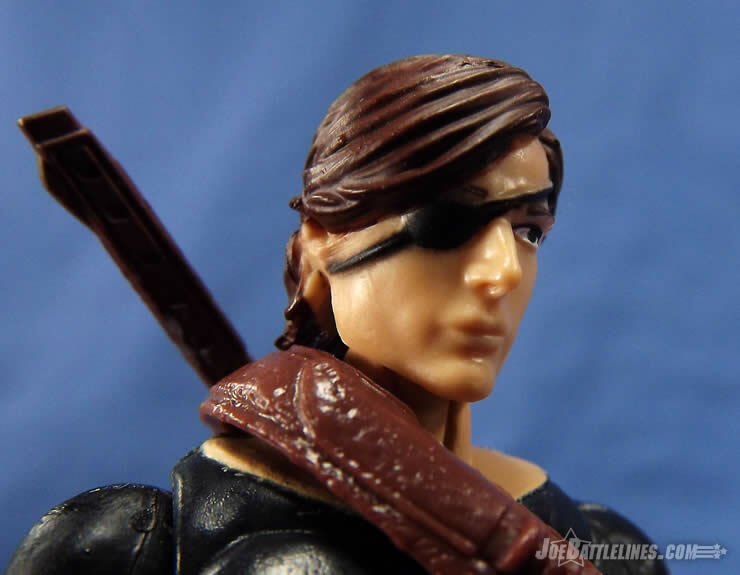 (The fact that he also bears a passing resemblance to favorite character Snake Plissken has nothing to do with my appreciation of his design either. Really.) Righttt… I don’t even have the issues that Chris does with the t-shirt’s neck simply because it is so faithful to the comic appearance of the adult William Kessler. Honestly—this is EXACTLY the type of figure that I wanted from the Figure Subscription Service concept when it was first announced and I’m pretty happy with his build and his deco. 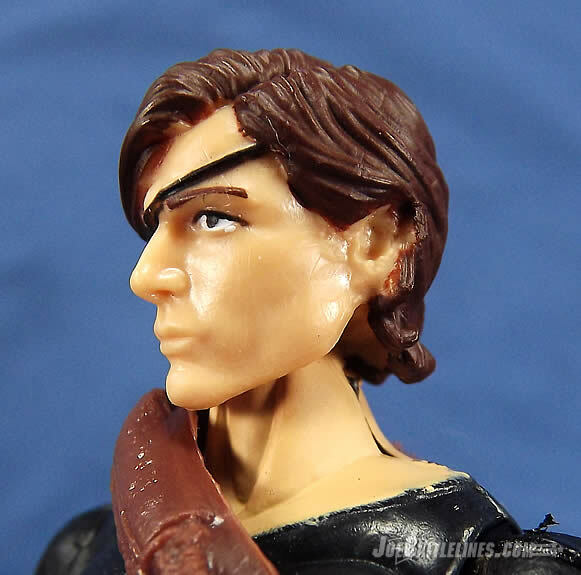 I will point out that, in the pictures in this review, there appears to be some distortion in the plastic of my figure’s head sculpt right around the right ear lobe. I don’t know if it’s an issue that’s unique to my figure or not but I’m otherwise pretty happy thus far. Nothing like that on my figure. 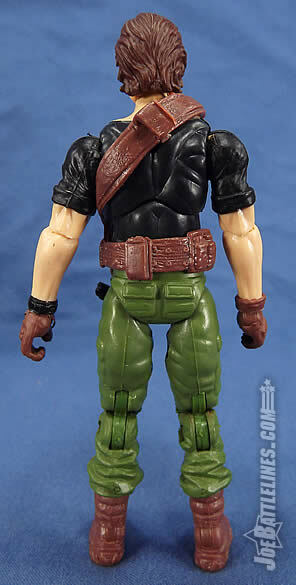 Billy comes with a light assortment or gear, and he feels more civilian than military---perhaps the intention. If so, I really don’t have a problem with this, as technically Billy is still a civvy. 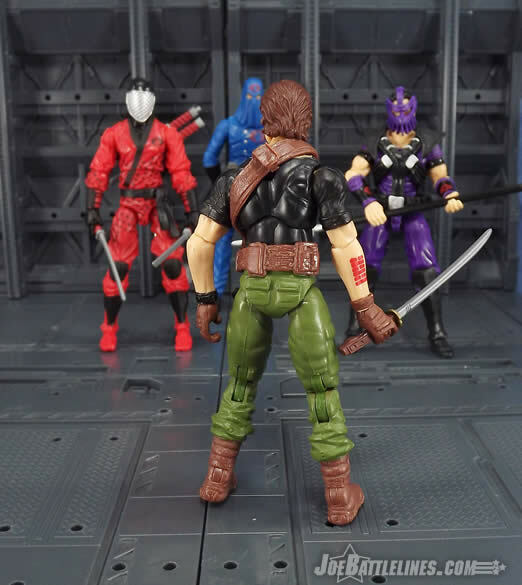 The MP7 is a fine SMG, and since he’s a ninja, he has to come with a sword---though a dedicated sword scabbard would have been nice to store the blade, as the webgear’s function does not even remotely work to keep a blade in place. 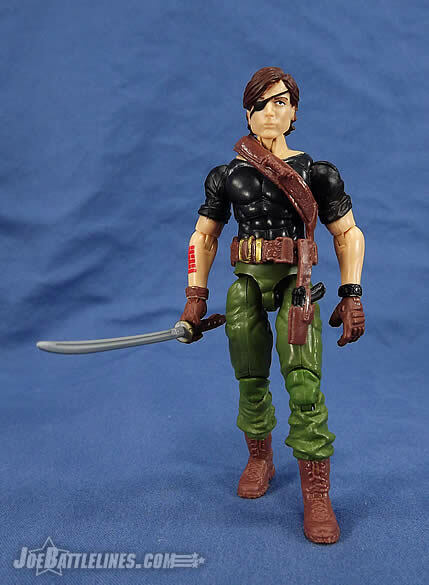 It’s also fair to mention the webgear’s bandolier strap doesn’t quite sit on the chest and shoulder as it should, and it instead rides too close to the figure’s neck. As for the grappling hook with insufficient rope length, I got nuthin’. This seems like a dumb accessory thrown in to make the set seem less barren. C’mon Chris—it wouldn’t be a Club figure without at least one random piece of gear thrown in for the appearance of “added value.” Point taken. 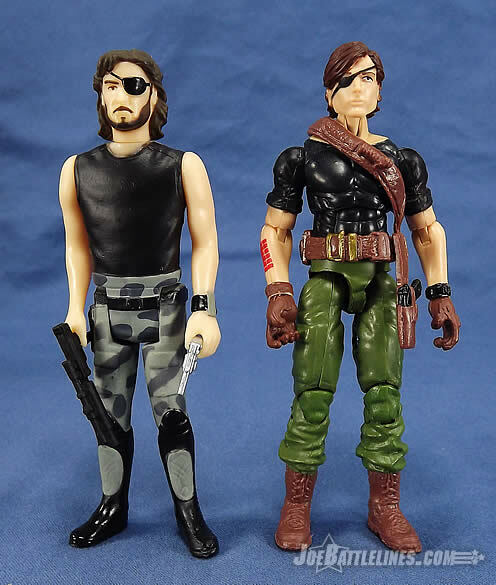 As far as the figure’s kit is concerned, I’m going to sound like a fan boy but I find it is exactly what I would have wanted Billy to carry. 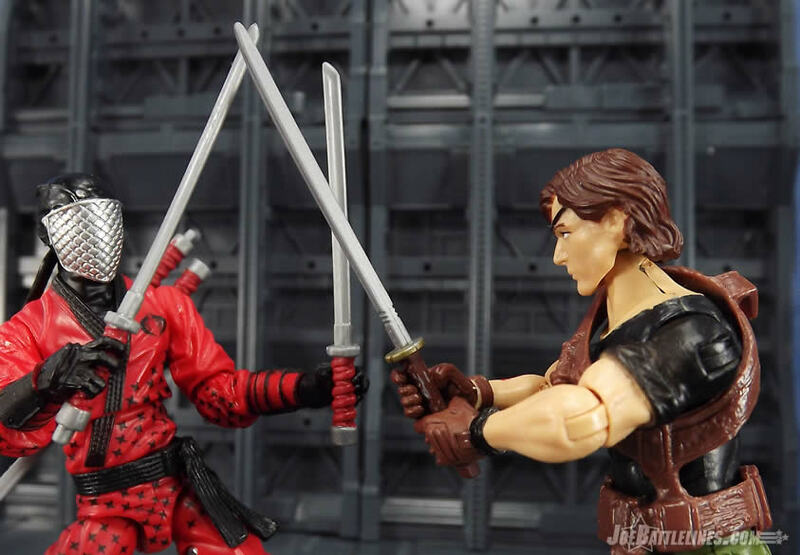 The sword is reflective of his time spent training with various members of the Arashikage clan and the MP7 works as a compact firearm. Yes, a working holster with a pistol would have been nice but it wasn’t necessary in this case. 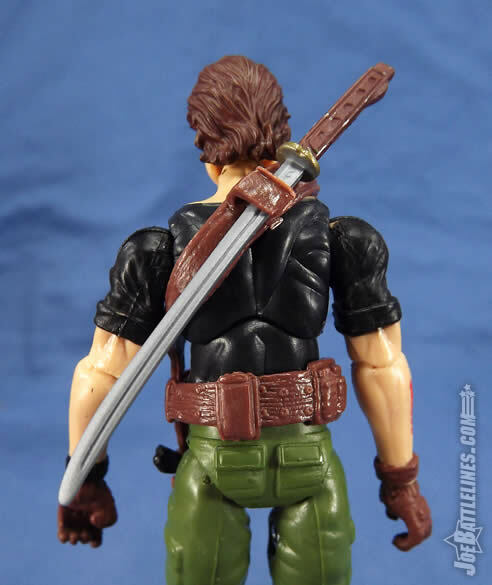 I do agree—the small clip on the back of the bandoleer does little to really hold the sword very well. 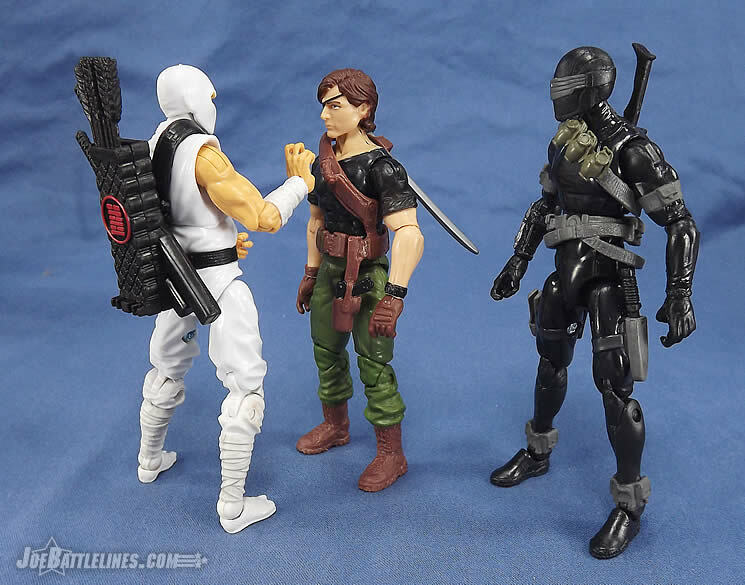 A better inclusion might have been the small pseudo-scabbard that was packaged with the first Retaliation Storm Shadow. My solution has been to simply keep the sword held in one hand for now. It’s not elegant but it gets the job done. A final mention would be his card. I wasn’t fond of his art work, and I personally felt his new last name of “Arboc” was insultingly stupid---like the mentality of a third grader’s knock-knock joke. 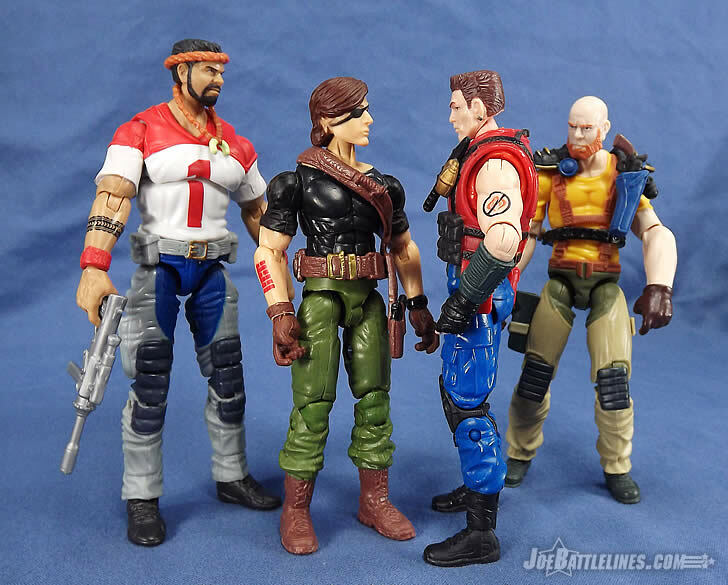 Hell, the first thing the ‘Joes should have done when they recruited Billy, was demand to know what his real surname was! And Fred, haven’t the COBRA anagrams been done to death by now?! 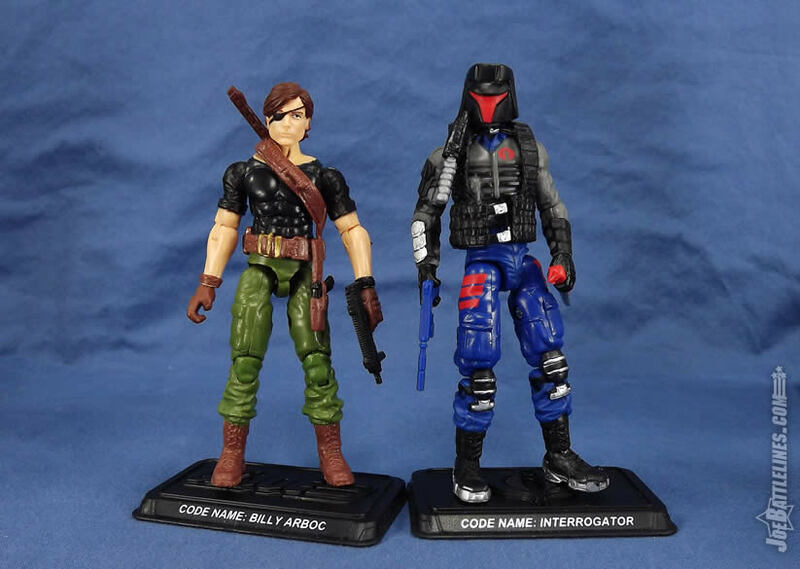 I have to admit—“Arboc” is a bit on the nose for a codename. It’s cute, it’s funny but it’s not really all that clever. 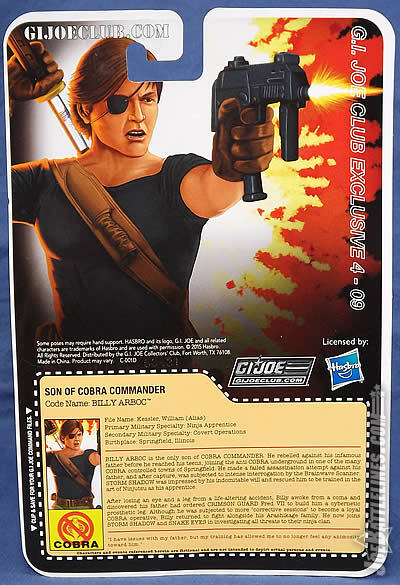 The Club could have given him any codename that they wanted and I think fans would still be okay with it simply because he’s always been referred to as “Billy.” For once, a codename simply wasn’t needed. Plus, I think after permutations and variations like “Broca”, “Arbco”, “Corba”, and even “DeCobray” it’s been done to death by now. However, to each his or her own. Overall I’m pleased with Billy. No, he’s not perfect, but he has some positives that really boost his appeal: he’s a new character that has never been done, and he has a newly sculpt head. That’s exactly what the FSS should have been doing from the get-go. Yes, there were some fans who were upset this wasn’t adolescent Billy, but those fans were thankfully in the vast minority because little-boy-Billy would have been a terrible idea; along the same terrible idea line as Scott and Spud from Sigma 6. As a character who has been there from nearly the beginning, I recommend Billy as a purchase. Is Billy worth adding to a modern-day G.I. Joe Collection? While Chris and I may disagree on the details we’re both in agreement here that the answer is a resounding “YES!” Whether you’re familiar with his story from the comic books or if you’re just going by the file card on the packaging, there’s something compelling about Billy. 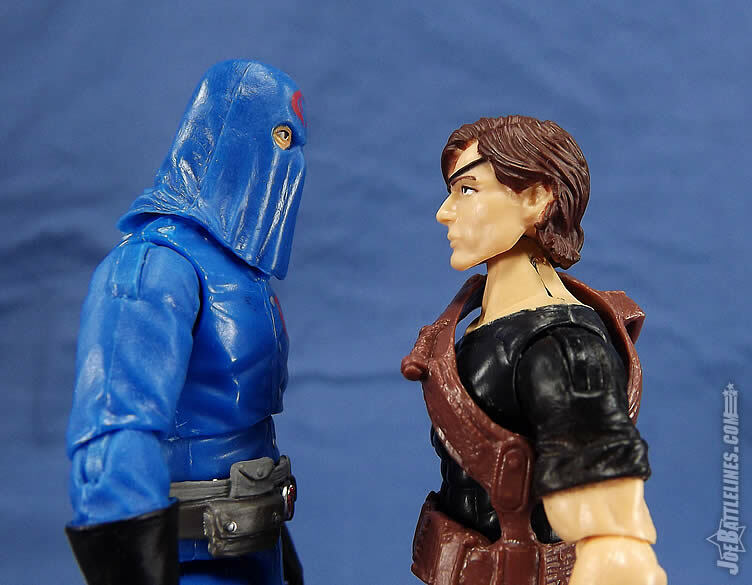 The fact that Cobra Commander had a son who turned against him and sided with his enemies is such a classic trope that it makes for good story-telling. With a solid design that evokes my favorite design from the comics I find it hard to give an unbiased review of this figure. Simply put—Billy is the culmination of decades of pent-up fan hope and the result is nothing less than being as close to perfect as Joe fans can expect anymore. 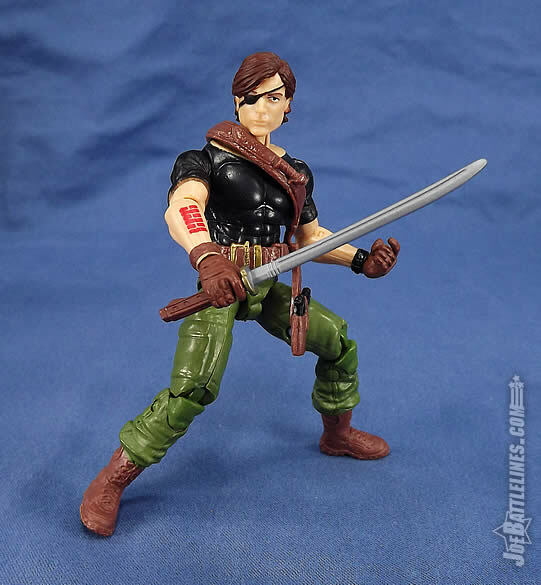 I love this figure and I’m glad he was made before the eventual demise of the Real American Hero era. 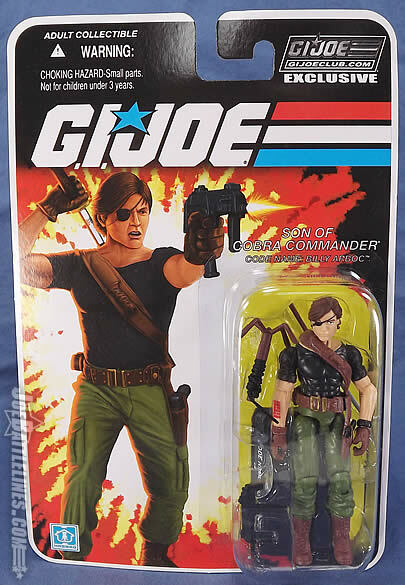 Snag this one while you can as he’s a terrific addition to any Joe collection. Of course, that’s just one Joe fan’s opinion. 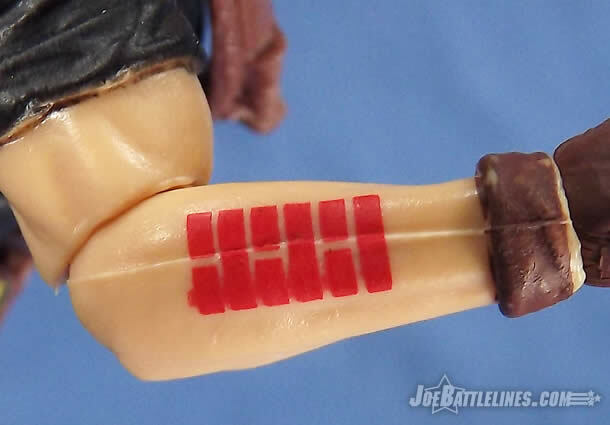 The Bottom Line: Billy is a figure with a minimalist design that perfectly translates the Devil’s Due era comic appearance into plastic form. He’s a FANTASTIC figure and perfect addition to any collection.